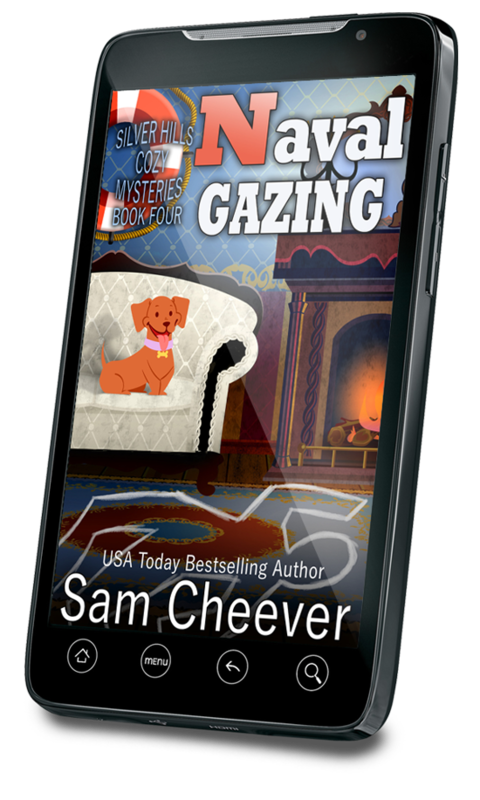 Sam Cheever has a new Mystery! The man standing next to the gravesite looked to be in his mid to late nineties. He stared at the coffin with a bit of a perplexed expression, as if he was surprised to find himself there and was wondering who was in the big, shiny box. Flo didn’t think he even heard the words the minister was uttering. The single true mourner hadn’t looked up since he’d arrived and he stood, bent and frail, holding a daisy in one hand down by his side. He was dry eyed, seemingly beyond emotion, only the occasional pursing of his wrinkled lips betrayed the fact that he struggled at all. Her heart broke as she looked around the site. If it weren’t for Maria Cooper and her merry band of mourners, no one else would have been there to say goodbye to the deceased, whose name was apparently Daisy, like the flower. The minister’s words were vague, unexceptional, leading Flo to believe he either didn’t really know the deceased Daisy or he didn’t like her much. She wondered if it might be the latter, given the dearth of people around the poor woman’s gravesite. In that moment, Flo adjusted her opinion of Ms. Cooper and her strange vocation. It would be horrible to be sent to Eternity without so much as a single wet-eyed goodbye from those still among the living. Not to be outdone, one mourner called out, “Help me Lord Ja-eee-sus!” Sounding like a good old fashioned television preacher working a crowd for money. With that the stakes were raised. Never one to let someone beat her at her own game, Agnes let off wailing and, giving her competition a very un-Christian glare, threw back her head and screamed, flinging herself forward toward the unsuspecting deceased. Agnes lay on her belly, round boohind stuck up in the air, and arms splayed across the formerly pristine surface of the highly polished oak casket. The toes of her sneakers were dug in, as if by the very act of falling forward she’d hammered them into the dirt. The minister cleared his throat. The elderly mourner blinked a few times and began to tremble. Agnes seemed to realize she sat…or lay as it were…on a perfect opportunity to bring her performance to standing ovation levels. To Flo’s unending horror, her friend began banging her head against the casket and sobbing hysterically. Her arms stayed out-flung on the shiny surface but her hands curved into fists no doubt meant to portray the heights of agony. Wide-eyed and beginning to be frightened, the minister started to back away from the gravesite, his round face turning nearly the color of his starched clerical collar as he turned tail and started run-walking toward the Office building in the distance. “I’m going to step on more than that if you don’t haul your wide backside off this casket right this minute and come with me. That minister just went to call security. Agnes’s eyes popped wide and she jerked her glance toward the enrobed pastor, who’d given up acting like he was walking and had broken into a full out run, bible pumping like a marathon runner’s heart. She closed her eyes one last time and said, “Amen.” Then pushed off the casket and started toward the car, almost stepping on Flo’s heels. In the distance, the minister had reached the building and was talking to a uniformed man who looked to be twice his size. His be-robed arms were cutting wide swaths of the air around him and every once in a while his head would drop back and a soft wailing sound wafted toward them. The voice was scratchy, so soft it barely pushed its way through the air to reach them, and Flo’s head snapped up as Agnes turned around. The little man was standing behind Agnes, a wide smile on his wrinkly face. He still clutched the Daisy but it was starting to look a bit wilted. The old man trembled so violently Flo started around the car to grab him in case he should fall. But she quickly realized he wasn’t having a seizure when he barked out a laugh, shaking his head. “I loved what you did back there. More importantly, my Daisy would have loved it too. She never was one for fine words and sentiment. But she’d have loved your bit on the coffin back there.” He dissolved into more laughter, holding his belly as he chortled. Flo didn’t waste any time. Because PoPo was indeed within neck breathing range. In fact, the guard slammed a palm on the roof of Flo’s car as she started to pull away, causing the inhabitants of the front seat to give off a startled yelp, before Flo hit the gas and put the enraged minister and guard in her rear view mirror.